We have a show coming up April 18th in Los Angeles with some good friends! 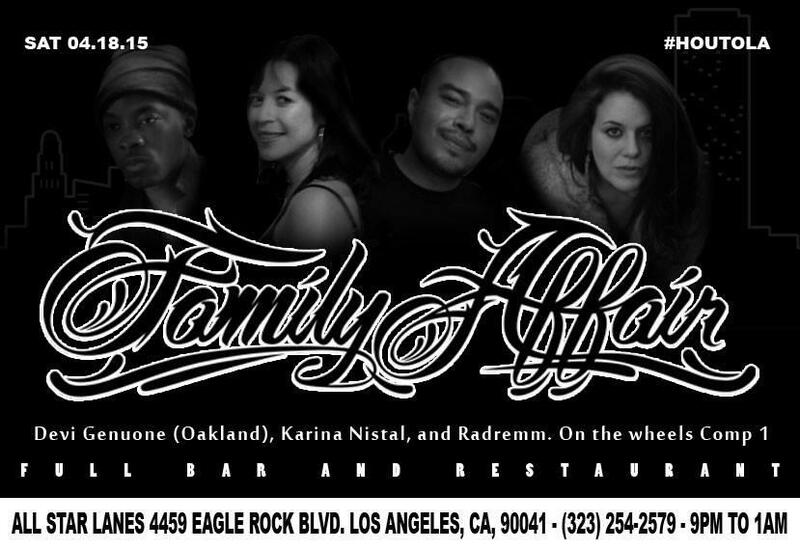 It’s going to be a “Family Affair” Roll though 9pm – 1am for a great night! Tony Emeralds on Facebook and some of his music here. 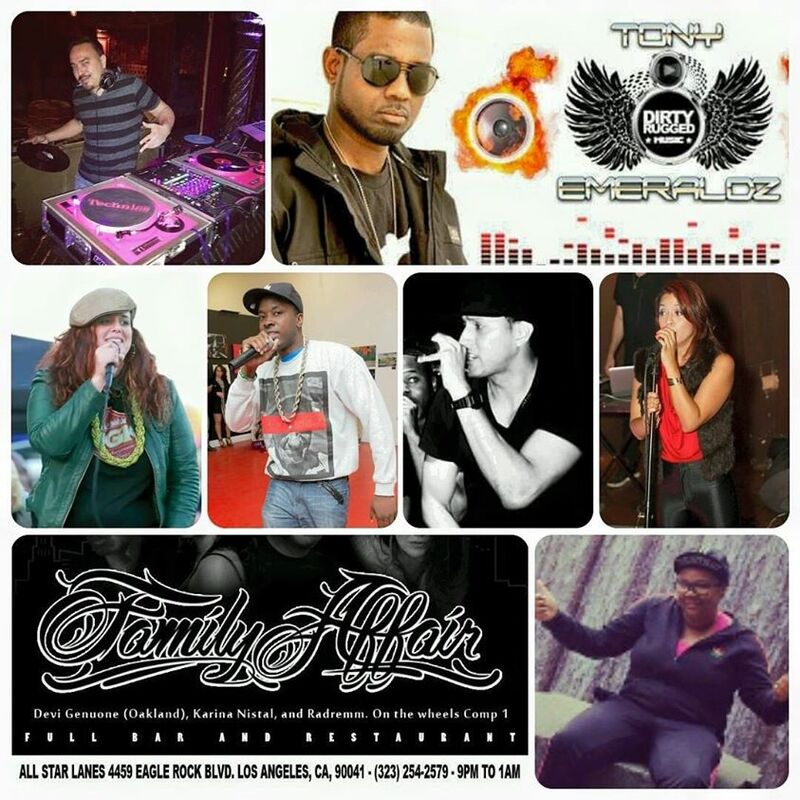 This entry was posted in Collabs, Devi Genuone, Devi Genuone Conguera, Events, Media, Singer Emcee Events and tagged #HOUTOLA, devi, devi genuone, Devi Genuone Live Project, devigenuone, Family Affair, hip hop, hiphop, karina nistal, On the Wheels Comp 1, Radremm. Bookmark the permalink.